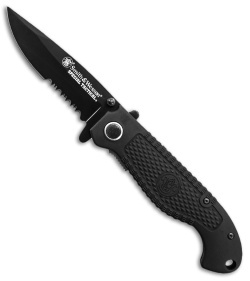 This Special Tactical folding knife has a partially serrated drop point blade in a black finish. The Smith & Wesson Special Tactical knife features a 7Cr17 stainless steel blade with a thumb stud opener and extended tang for easy right handed opening. Its ABS handle is textured and contoured for a secure grip during use in any situation. 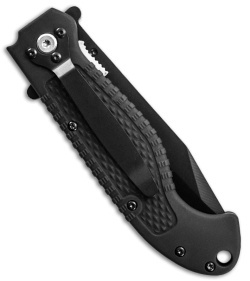 Includes a removable tip-down pocket clip.